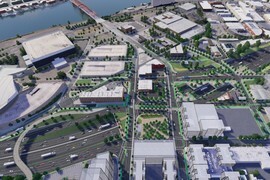 Imagine a Rose Quarter area where people walking and biking can comfortably cross a bridge designed just for them; where getting from the Broadway Bridge to the Lloyd Center feels less daunting; where your daily commute on bike or foot is safe and reliable. 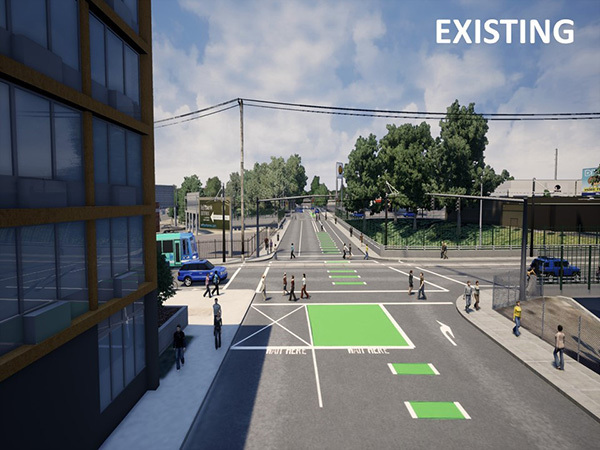 This project creates new connections across I-5 and more space for people walking and biking, so everyone can travel more safely and conveniently through the Rose Quarter area. Several features of this project will help create a more comfortable travel experience for those who walk and bike in the Rose Quarter area. A new bike- and pedestrian-only bridge over I-5, from NE Clackamas Street to N Ramsay Way, will improve access between popular destinations and encourage Portlanders to feel more comfortable traveling by bike or on foot. New covers over the highway where bridges cross over I-5 will provide space for wide sidewalks, separated bike lanes and new community spaces. A new crossing between N Hancock and N Dixon will include space for separated bicycle and pedestrian paths while improving east-west connections to the Lower Albina neighborhood. 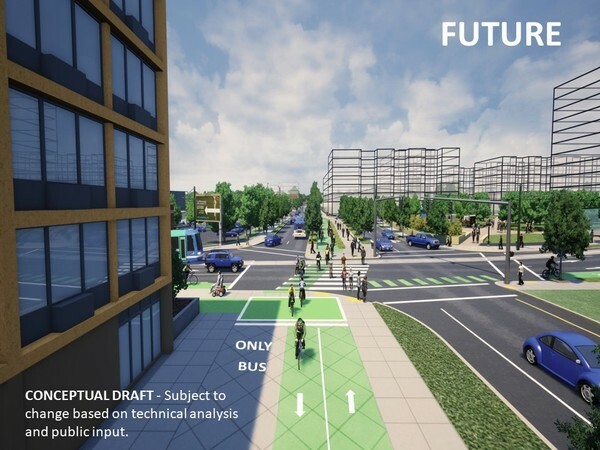 New, upgraded pedestrian and bicycle paths in the area of Broadway/Weidler and Vancouver/Williams will make for safer, more comfortable travel in the area. Learn more about how planned improvements can make biking and walking safer in the Rose Quarter area. 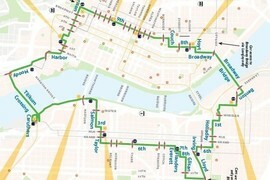 This Sunday Parkways event will feature the Green Loop -- a planned multi-use path that will connect vital areas of the Central City. Visit the ODOT booth at this event to learn about how this project provides a critical link in the future Green Loop. What improvements would you like to see in the Rose Quarter area? Let the project team know by taking a short survey.